Chairlift is a pastry and coffee shop from the owners of Brenner Pass. A neighborhood cafe anchored in old European traditions, yet bright, open, and familiar. 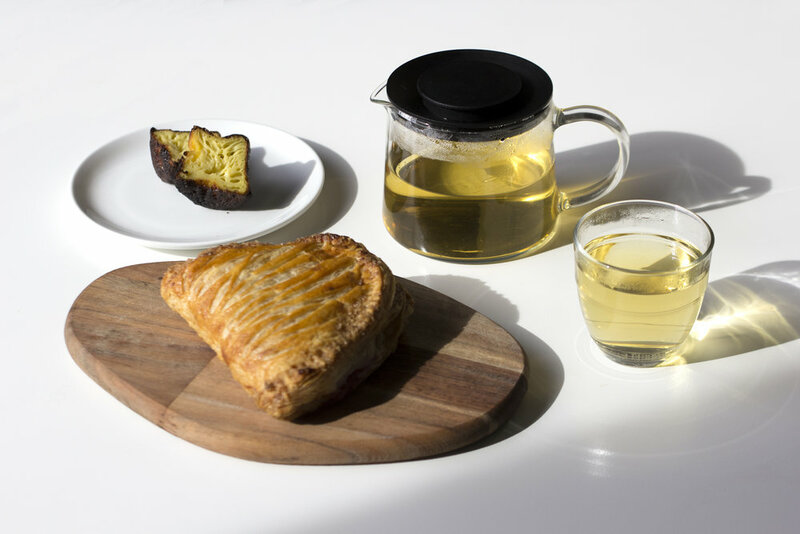 A place where you can count on great coffee, tea and pastries. Right around the pastry case is our selection of cheese and charcuterie — we’re proud to say that Chairlift has the only cut-to-order cheese selection in the city. You can also pick up a great bottle of wine or beer in the market section of Chairlift, curated by Nathan Conway and James Kohler, our Co-Owners who specialize in cocktails, beer and wine. We feel so lucky to be able to join the Scott’s Addition neighborhood of diverse businesses. One of our first collaborations was with our neighbors, The Veil Brewing Co, to create an exclusive House Beer that’s always in house at both Chairlift and Brenner Pass. Olivia Wilson, Executive Pastry Chef and Co-Owner of Brenner Pass and Chairlift, has been baking the types of pastries you see in our case since she was in high school. She started her own custom cake business at 16 and had a booth for years at the Harrisonburg Farmers Market before attending The French Culinary Institute. 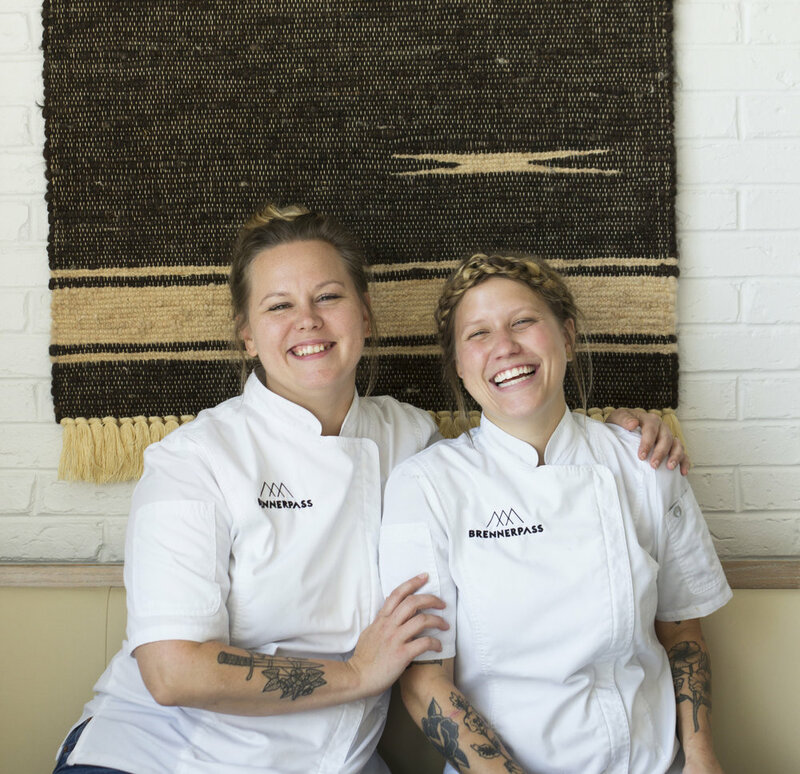 After stints at Bouchon and The Inn at Little Washington, she ended up in Richmond where she became the Pastry Chef at Metzger Bar and Butchery. While still making wedding cakes on the side, the idea for Chairlift’s pastry menu is rooted in savory, not too sweet treats, changing with the seasons. She and the baking team make everything by hand with no short cuts. She refuses to serve anything that her Oma wouldn’t approve of. Brittanny Anderson is a James Beard nominated Chef and Owner of Brenner Pass, Chairlift and Metzger Bar and Butchery. She loves cooking regional European cuisine while highlighting local Virginia ingredients and merging traditional recipes with modern American spirit. At Chairlift, Brittanny serves up delicious made-to-order sandwiches featuring seasonal ingredients, as well as a selection of European cheese and charcuterie.